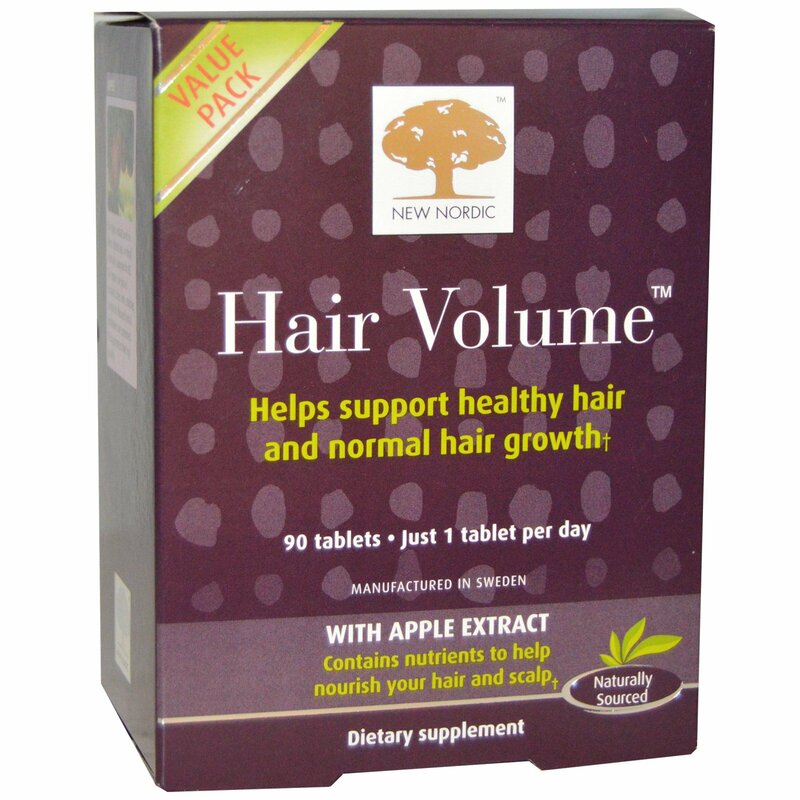 Hair Volume is a hair tablet that provides extra nourishment to your hair follicles. Hair Volume is developed by New Nordic's experts in Sweden and contains procyanidin B2 extracted from apples as well as herbal extracts of horsetail and millet, biotin, trace elements plus amino acids. Hair Volume provides biotin and zinc to your hair follicles, which help support healthy hair and normal hair growth and in addition nourish your skin and nails. The tablet also contains copper which helps support normal production of the hair pigment melanin, which colors the hair that would otherwise be gray. 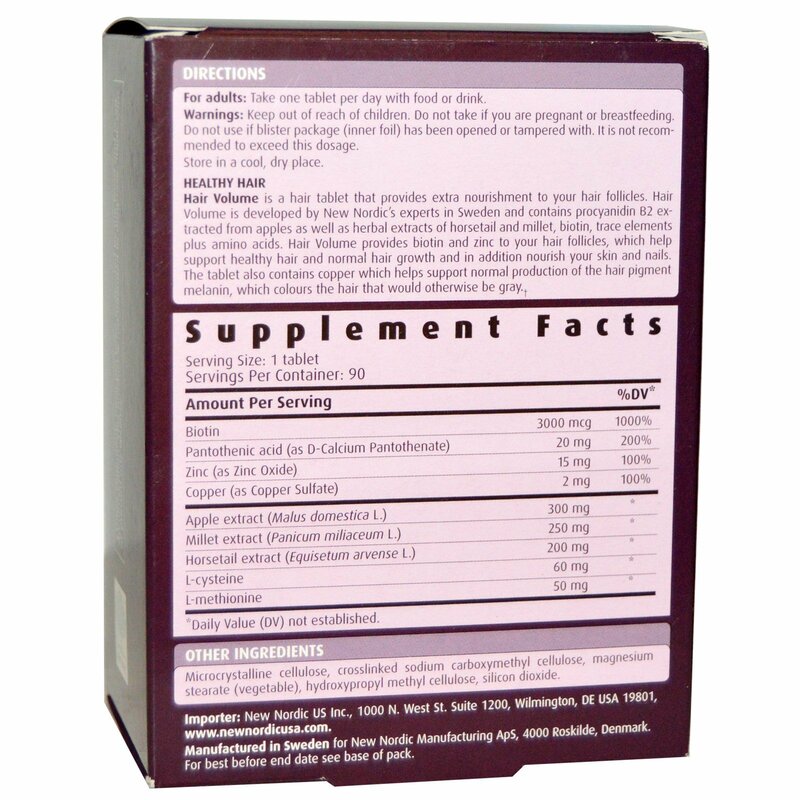 The apple extract used in these tablets has a natural content of procyanidin B2. The apples are picked, mashed, dried and extracted, so that the desired herbal substances are preserved. This guarantees the high quality. For adults: Take one tablet per day with food or drink. Microcrystalline cellulose, crosslinked sodium carboxymethyl cellulose, magnesium stearate (vegetable), hydroxypropyl methyl cellulose, silicon dioxide. Keep out of reach of children. Do not take if you are pregnant or breastfeeding. Do not use if blister package (inner foil) has been opened or tampered with. It is not recommended to exceed this dosage.